The tomb, located at the northern entrance of Bethlehem, is built in the style of a traditional maqam. The burial place of the matriarch Rachel as mentioned in the Jewish Tanakh, the Christian Old Testament and in Muslim literature is contested between this site and several others to the north. Although this site is considered unlikely to be the actual site of the grave, it is by far the most recognized candidate. The earliest extra-biblical records describing this tomb as Rachel's burial place date to the first decades of the 4th century CE. The structure in its current form dates from the Ottoman period, and is situated in a Christian and Muslim cemetery dating from at least the Mamluk period. When Sir Moses Montefiore renovated the site in 1841 and obtained the keys for the Jewish community, he also added an antechamber, including a mihrab for Muslim prayer, to ease Muslim fears. According to the 1947 United Nations Partition Plan for Palestine, the tomb was to be part of the internationally administered zone of Jerusalem, but the area was occupied by The Hashemite Kingdom of Jordan, which prohibited Jews from entering the area. 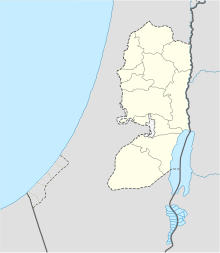 Following the Israeli occupation of the West Bank in 1967, though not initially falling within Area C, the site has come under the control of the Israeli Ministry of Religious Affairs. Rachel's tomb is the third holiest site in Judaism and has become one of the cornerstones of Jewish-Israeli identity. According to Genesis 35:20, a mazzebah was erected at the site of Rachel's grave in ancient Israel, leading scholars to consider the site to have been a place of worship in ancient Israel. According to Martin Gilbert, Jews have made pilgrimage to the tomb since ancient times. According to Frederick Strickert, the first historically recorded pilgrimages to the site were by early Christians, and Christian witnesses wrote of the devotion shown to the shrine "by local Muslims and then later also by Jews"; throughout history, the site was rarely considered a shrine exclusive to one religion and is described as being "held in esteem equally by Jews, Muslims, and Christians". Following a 1929 British memorandum, in 1949 the UN ruled that the Status Quo, an arrangement approved by the 1878 Treaty of Berlin concerning rights, privileges and practices in certain Holy Places, applies to the site. In 2005, following Israeli approval on 11 September 2002, the Israeli West Bank barrier was built around the tomb, effectively annexing it to Jerusalem. A 2005 report from OHCHR Special Rapporteur John Dugard noted that: "Although Rachel’s Tomb is a site holy to Jews, Muslims and Christians, it has effectively been closed to Muslims and Christians." On October 21, 2015, UNESCO adopted a controversial resolution reaffirming a 2010 statement that Rachel's Tomb was: "an integral part of Palestine." On 22 October 2015, the tomb was separated from Bethlehem with a series of concrete barriers. Tom Selwyn notes that R. A. S. Macalister, the most authoritative voice on the topography of Rachel's tomb, advanced the view in 1912 that the identification with Bethlehem was based on a copyist's mistake. The Judean scribal gloss "(Ephrath, ) which is Bethlehem" was added to distinguish it from a similar toponym Ephrathah in the Bethlehem region. Some consider as certain, however, that Rachel's tomb lay to the north, in Benjamite, not in Judean territory, and that the Bethlehem gloss represents a Judean appropriation of the grave, originally in the north, to enhance Judah's prestige. At 1 Samuel 10:2, Rachel's tomb is located in the 'territory of Benjamin at Zelzah.' In the period of the monarchy down to the exile, it would follow, Rachel's tomb was thought to lie in Ramah. The indications for this are based on 1 Sam 10:2 and Jer. 31:15, which give an alternative location north of Jerusalem, in the vicinity of ar-Ram, biblical Ramah, five miles south of Bethel. One conjecture is that before David's conquest of Jerusalem, the ridge road from Bethel might have been called "the Ephrath road" (derek ’eprātāh. Genesis 35:19; derek’eprāt, Genesis 48:7), hence the passage in Genesis meant 'the road to Ephrath or Bethlehem,' on which Ramah, if that word refers to a toponym, lay. A possible location in Ramah could be the five stone monuments north of Hizma. Known as Qubur Bene Isra'in, the largest so-called tomb of the group, the function of which is obscure, has the name Qabr Umm beni Isra'in, that is, "tomb of the mother of the descendants of Israel". As to the structure outside Bethlehem being placed exactly over an ancient tomb, it was revealed during excavations in around 1825 that it was not built over a cavern; however, a deep cavern was discovered a small distance from the site. Traditions regarding the tomb at this location date back to the beginning of the 4th century AD. Eusebius' Onomasticon (written before 324) and the Bordeaux Pilgrim (333-334) mention the tomb as being located 4 miles from Jerusalem. In the late 7th century, the tomb was marked with a stone pyramid, devoid of any ornamentation. During the 10th century, Muqaddasi and other geographers fail to mention the tomb, which indicates that it may have lost importance until the Crusaders revived its veneration. Muhammad al-Idrisi (1154) writes, "Half-way down the road [between Bethlehem and Jerusalem] is the tomb of Rachel (Rahil), the mother of Joseph and of Benjamin, the two sons of Jacob peace upon them all! The tomb is covered by twelve stones, and above it is a dome vaulted." Benjamin of Tudela (1169–71) was the first Jewish pilgrim to describe his visit to the tomb. He mentioned a pillar made of 11 stones and a cupola resting on four columns "and all the Jews that pass by carve their names upon the stones of the pillar." Petachiah of Regensburg explains that the 11 stones represented the tribes of Israel, excluding Benjamin, since Rachel had died during his birth. All were marble, with that of Jacob on top." In the 14th century, Antony of Cremona referred to the cenotaph as "the most wonderful tomb that I shall ever see. I do not think that with 20 pairs of oxen it would be possible to extract or move one of its stones." It was described by Franciscan pilgrim Nicolas of Poggibonsi (1346–50) as being 7 feet high and enclosed by a rounded tomb with three gates. From around the 15th century onwards, if not earlier, the tomb was occupied and maintained by the Muslim rulers. The Russian deacon Zozimos describes it as being a mosque in 1421. A guide published in 1467 credits Shahin al-Dhahiri with the building of a cupola, cistern and drinking fountain at the site. The Muslim rebuilding of the "dome on four columns" was also mentioned by Francesco Suriano in 1485. Felix Fabri (1480–83) described it as being "a lofty pyramid, built of square and polished white stone"; He also noted a drinking water trough at its side and reported that "this place is venerated alike by Muslims, Jews, and Christians". Bernhard von Breidenbach of Mainz (1483) described women praying at the tomb and collecting stones to take home, believing that they would ease their labour. Pietro Casola (1494) described it as being "beautiful and much honoured by the Moors." Mujir al-Din al-'Ulaymi (1495), the Jerusalemite qadi and Arab historian, writes under the heading of Qoubbeh Râhîl ("Dome of Rachel") that Rachel's tomb lies under this dome on the road between Bethlehem and Bayt Jala and that the edifice is turned towards the Sakhrah (the rock inside the Dome of the Rock) and widely visited by pilgrims. In 1615 Muhammad Pasha of Jerusalem repaired the structure and transferred exclusive ownership of the site to the Jews.[why?] In 1626, Franciscus Quaresmius visited the site and found that the tomb had been rebuilt by the locals several times. He also found near it a cistern and many Muslim graves. George Sandys wrote in 1632 that “The sepulchre of Rachel... is mounted on a square... within which another sepulchre is used for a place of prayer by the Mohometans". Rabbi Moses Surait of Prague (1650) described a high dome on the top of the tomb, an opening on one side, and a big courtyard surrounded by bricks. He also described a local Jewish cult associated with the site. A 1659 Venetian publication of Uri ben Simeon's Yichus ha-Abot included a small and apparently inaccurate illustration. The tomb of Rachel the Righteous is at a distance of 1½ miles from Jerusalem, in the middle of the field, not far from Bethlehem, as it says in the Torah. On Passover and Lag B'Omer many people – men and women, young and old – go out to Rachel's Tomb on foot and on horseback. And many pray there, make petitions and dance around the tomb and eat and drink. —  Rabbi Moses Surait of Prague, 1650. In March 1756, the Istanbul Jewish Committee for the Jews of Palestine instructed that 500 kurus used by the Jews of Jerusalem to fix a wall at the tomb were to be repaid and used instead for more deserving causes. In 1788, walls were built to enclose the arches. According to Richard Pococke, this was done to "hinder the Jews from going into it". Pococke also reports that the site was highly regarded by Turks as a place of burial. In 1806 François-René Chateaubriand described it as "a square edifice, surmounted with a small dome: it enjoys the privileges of a mosque, for the Turks as well as the Arabs, honour the families of the patriarchs. [..] it is evidently a Turkish edifice, erected in memory of a santon. An 1824 report described "a stone building, evidently of Turkish construction, which terminates at the top in a dome. Within this edifice is the tomb. It is a pile of stones covered with white plaster, about 10 feet long and nearly as high. The inner wall of the building and the sides of the tomb are covered with Hebrew names, inscribed by Jews." When the structure was undergoing repairs in around 1825, excavations at the foot of the monument revealed that it was not built directly over an underground cavity. However, a small distance from the site, an unusually deep cavern was discovered. In 1830, the Ottomans legally recognized the tomb as a Jewish holy site. Proto-Zionist banker Sir Moses Montefiore visited Rachel's Tomb together with his wife on their first visit to the Holy Land in 1828. The couple were childless, and Lady Montefiore was deeply moved by the tomb, which was in good condition at that time. Before the couple's next visit, in 1839, the Galilee earthquake of 1837 had heavily damaged the tomb. In 1838 the tomb was described as "merely an ordinary Muslim Wely, or tomb of a holy person; a small square building of stone with a dome, and within it a tomb in the ordinary Muhammedan form; the whole plastered over with mortar. It is neglected and falling to decay; though pilgrimages are still made to it by the Jews. The naked walls are covered with names in several languages; many of them Hebrew." In 1841, Montefiore renovated the site and obtained for the Jews the key of the tomb. He renovated the entire structure, reconstructing and re-plastering its white dome, and added an antechamber, including a mihrab for Muslim prayer, to ease Muslim fears. Professor Glenn Bowman notes that some writers have described this as a “purchase” of the tomb by Montefiore, asserting that this was not the case. In 1843, Ridley Haim Herschell described the building as an ordinary Muslim tomb. He reported that Jews, including Montefiore, were obliged to remain outside the tomb, and prayed at a hole in the wall, so that their voices enter into the tomb. In 1844, William Henry Bartlett referred to the tomb as a "Turkish Mosque", following a visit to the area in 1842. In 1845, Montefiore made further architectural improvements at the tomb. He extended the building by constructing an adjacent vaulted ante-chamber on the east for Muslim prayer use and burial preparation, possibly as an act of conciliation. The room included a mihrab facing Mecca. In the mid-1850s, the marauding Arab e-Ta'amreh tribe forced the Jews to furnish them with an annual £30 payment to prevent them from damaging the tomb. According to Elizabeth Anne Finn, wife of the British consul, James Finn, the only time the Sephardic Jewish community left the Old City of Jerusalem was for monthly prayers at "Rachel's Sepulchre" or Hebron. In 1864, the Jews of Bombay donated money to dig a well. Although Rachel's Tomb was only an hour and a half walk from the Old City of Jerusalem, many pilgrims found themselves very thirsty and unable to obtain fresh water. Every Rosh Chodesh (beginning of the Jewish month), the Maiden of Ludmir would lead her followers to Rachel’s tomb and lead a prayer service with various rituals, which included spreading out requests of the past four weeks over the tomb. On the traditional anniversary of Rachel's death, she would lead a solemn procession to the tomb where she chanted psalms in a night-long vigil. In 1868 a publication by the Catholic missionary society the Paulist Fathers noted that "[Rachel's] memory has always been held in respect by the Jews and Christians, and even now the former go there every Thursday, to pray and read the old, old history of this mother of their race. When leaving Bethlehem for the fourth and last time, after we had passed the tomb of Rachel, on our way to Jerusalem, Father Luigi and I met a hundred or more Jews on their weekly visit to the venerated spot." The Hebrew monthly ha-Levanon of August 19, 1869, rumored that a group of Christians had purchased land around the tomb and were in the process of demolishing Montefiore's vestibule in order to erect a church there. During the following years, land in the vicinity of the tomb was acquired by Nathan Straus. In October 1875, Rabbi Zvi Hirsch Kalischer purchased three dunams of land near the tomb intending to establish a Jewish farming colony there. Custody of the land was transferred to the Perushim community in Jerusalem. In the 1880s, Conder and Kitchener noted: "A modern Moslem building stands over the site, and there are Jewish graves near it." In 1912 the Ottoman Government permitted the Jews to repair the shrine itself, but not the antechamber. In 1915 the structure had four walls, each about 7 m (23 ft.) long and 6 m (20 ft.) high. The dome, rising about 3 m (10 ft.), "is used by the Moslems for prayer; its holy character has hindered them from removing the Hebrew letters from its walls." Rachel's tomb appeared on the 500m. banknote and on 2m., 3m. and 10m. stamps of Mandate Palestine between 1927 and 1945, due to it being perceived by the British authorities as “the model of a shared site” among Muslims, Christians and Jews. Three months after the British occupation of Palestine the whole place was cleaned and whitewashed by the Jews without protest from the Muslims. However, in 1921 when the Chief Rabbinate applied to the Municipality of Bethlehem for permission to perform repairs at the site, local Muslims objected. In view of this, the High Commissioner ruled that, pending appointment of the Holy Places Commission provided for under the Mandate, all repairs should be undertaken by the Government. However, so much indignation was caused in Jewish circles by this decision that the matter was dropped, the repairs not being considered urgent. In 1925 the Sephardic Jewish community requested permission to repair the tomb. The building was then made structurally sound and exterior repairs were effected by the Government, but permission was refused by the Jews (who had the keys) for the Government to repair the interior of the shrine. As the interior repairs were unimportant, the Government dropped the matter, in order to avoid controversy. In 1926 Max Bodenheimer blamed the Jews for letting one of their holy sites appear so neglected and uncared for. During this period, both Jews and Muslims visited the site. From the 1940s, it came to be viewed as a symbol of the Jewish people's return to Zion, to its ancient homeland, For Jewish women, the tomb was associated with fertility and became a place of pilgrimage to pray for successful childbirth. Depictions of the Tomb of Rachel have appeared in Jewish religious books and works of art. Muslims prayed inside the mosque there and the cemetery at the tomb was the main Muslim cemetery in the Bethlehem area. The building was also used for Islamic funeral rituals. It is reported that Jews and Muslims respected each other and accommodated each other's rituals. During the riots of 1929, violence hampered regular visits by Jews to the tomb. Both Jews and Muslims demanded control of the site, with the Muslims claiming it was an integral part of the Muslim cemetery within which it is situated. It also demanded a renewal of the old Muslim custom of purifying corpses in the tomb's antechamber. Following the 1948 Arab–Israeli War till 1967, the site was ruled by Jordan and occupied by the Islamic waqf. On December 11, 1948, the UN General Assembly passed Resolution 194 which called for free access to all the holy places in Israel and the remainder of the territory of the former Palestine Mandate of Great Britain. In April 1949, the Jerusalem Committee prepared a document for the UN Secretariat in order to establish the status of the different holy places in the area of the former British Mandate for Palestine. It noted that ownership of Rachel's Tomb was claimed by both Jews and Muslims. The Jews claimed possession by virtue of a 1615 firman granted by the Pasha of Jerusalem which gave them exclusive use of the site and that the building, which had fallen into decay, was entirely restored by Moses Montefiore in 1845; the keys were obtained by the Jews from the last Muslim guardian at this time. The Muslims claimed the site was a place of Muslim prayer and an integral part of the Muslim cemetery within which it was situated. They stated that the Ottoman Government had recognised it as such and that it is included among the Tombs of the Prophets for which identity signboards were issued by the Ministry of Waqfs in 1898. They also asserted that the antechamber built by Montefiore was specially built as a place of prayer for Muslims. The UN ruled that the status quo, an arrangement approved by the Ottoman Decree of 1757 concerning rights, privileges and practices in certain Holy Places, apply to the site. In theory, free access was to be granted as stipulated in the 1949 Armistice Agreements, though Israelis, unable to enter Jordan, were prevented from visiting. Non-Israeli Jews, however, continued to visit the site. [dubious – discuss] During this period the Muslim cemetery was expanded. Following the Six-Day War in 1967, Israel occupied of the West Bank, which included the tomb. The tomb was placed under Israeli military administration. Some time after the occupation, Islamic crescents, inscribed into the rooms of the structure, were erased. Muslims claim that they were prevented from using the mosque, although they were allowed to use the cemetery for a while. Prime minister Levi Eshkol instructed that the tomb be included within the new expanded municipal borders of Jerusalem, but citing security concerns, Moshe Dayan decided not to include it within the territory that was annexed to Jerusalem. Starting in 1993, Muslims were barred from using the cemetery. According to Bethlehem University, "[a]ccess to Rachel's Tomb is now restricted to tourists entering from Israel." Following the Oslo accords, the Israeli–Palestinian Interim Agreement was signed on September 28, 1995, placing Rachel's Tomb in Area C under Israeli jurisdiction. Originally, Yitzhak Rabin had decided to cede Rachel's Tomb, along with Bethlehem. Israel's first draft had placed Rachel's Tomb, which is situated 460 metres from the municipal border of Jerusalem, in Area A under PA jurisdiction. Popular pressure exerted by religious parties in Israel to keep the religious site under Israeli control threatened the agreement, and Yassir Arafat agreed to forego the request. On December 1, 1995, Bethlehem, with the exception of the tomb enclave, passed under the full control of the Palestinian Authority. Jews could reach it in bulletproof vehicles under military supervision. In 1996 Israel began an 18-month fortification of the site at a cost of $2m. It included a 13-foot-high (4.0 m) wall and adjacent military post. In response, Palestinians said that "the Tomb of Rachel was on Islamic land" and that the structure was in fact a mosque built at the time of the Arab conquest in honour of Bilal ibn Rabah, an Ethiopian known in Islamic history as the first muezzin. After an attack on Joseph's Tomb and its subsequent takeover by Arabs, hundreds of residents of Bethlehem and the Aida refugee camp, led by the Palestinian Authority-appointed governor of Bethlehem, Muhammad Rashad al-Jabari, attacked Rachel's Tomb. They set the scaffolding that had been erected around it on fire and tried to break in. The IDF dispersed the mob with gunfire and stun grenades, and dozens were wounded. In the following years, the Israeli-controlled site became a flashpoint between young Palestinians who hurled stones, bottles and firebombs and IDF troops, who responded with tear gas and rubber bullets. At the end of 2000, when the second intifada broke out, the tomb came under attack for 41 days. Fatah operatives and members of the Palestinian security services who were responsible for curbing militant activity against Israelis actively participated in it. In May 2001, fifty Jews found themselves trapped inside by a firefight between the IDF and Palestinian Authority gunmen. In March 2002 the IDF returned to Bethlehem as part of Operation Defensive Shield and remained there for an extended period of time. In September 2002, the tomb was incorporated on the Israeli side of the West Bank barrier and surrounded by a concrete wall and watchtowers. In February 2005, the Israel Supreme Court rejected a Palestinian appeal to change the route of the security fence in the region of the tomb. Israeli construction destroyed the Palestinian neighbourhood of Qubbet Rahil. Israel also declared the area to be a part of Jerusalem. From 2011, a "Wall Museum" was created by Palestinians on the North wall of the Israeli separation barrier surrounding Rachel’s tomb. In February 2010, Israeli Prime Minister Netanyahu announced that the tomb would become a part of the national Jewish heritage sites rehabilitation plan. The decision was opposed by the Palestinian Authority, who saw it as a political decision associated with Israel's settlement project. The UN's special coordinator for the Middle East, Robert Serry, issued a statement of concern over the move, saying that the site is in Palestinian territory and has significance in both Judaism and Islam. The Jordanian government said that the move would derail peace efforts in the Middle East and condemned "unilateral Israeli measures which affect holy places and offend sentiments of Muslims throughout the world". UNESCO urged Israel to remove the site from its heritage list, stating that it was "an integral part of the occupied Palestinian territories". A resolution was passed at UNESCO that acknowledged both the Jewish and Islamic significance of the site, describing the site as both Bilal ibn Rabah Mosque and as Rachel's Tomb. The resolution passed with 44 countries supporting it, twelve countries abstaining, and only the United States voting to oppose. An article written by Nadav Shargai of the Jerusalem Center for Public Affairs, published in the Jerusalem Post criticized UNESCO, arguing that the site was not a mosque and that the move was politically motivated to disenfranchise Israel and Jewish religious traditions. Also writing in the Jerusalem Post, Larry Derfner, defended the UNESCO position. He pointed out that UNESCO had explicitly recognized the Jewish connection to the site, having only denounced Israeli claims of sovereignty, while also acknowledging the Islamic and Christian significance of the site. The Israeli Prime Minister's Office criticised the resolution, claiming that: "the attempt to detach the Nation of Israel from its heritage is absurd. ... If the nearly 4,000-year-old burial sites of the Patriarchs and Matriarchs of the Jewish Nation – Abraham, Isaac, Jacob, Sarah, Rebecca, Rachel and Leah – are not part of its culture and tradition, then what is a national cultural site?" In Jewish lore, Rachel was born on 11 Cheshvan 1553 BCE. According to the Midrash, the first person to pray at Rachel's tomb was her eldest son, Joseph. While he was being carried away to Egypt after his brothers had sold him into slavery, he broke away from his captors and ran to his mother's grave. He threw himself upon the ground, wept aloud and cried "Mother! mother! Wake up. Arise and see my suffering." He heard his mother respond: "Do not fear. Go with them, and God will be with you." Jacob foresaw that following the destruction of the First Temple the Jews would be exiled to Babylon. They would cry out as they passed her grave, and be comforted by her. She would intercede on their behalf, asking for mercy from God who would hear her prayer. Although Rachel was buried within the boundaries of the Holy Land, she was not buried in the Cave of Machpelah due to her sudden and unexpected death. Jacob, looking after his children and herds of cattle, simply did not have the opportunity to embalm her body to allow for the slow journey to Hebron. Jacob was intent on not burying Rachel at Hebron, as he wished to prevent himself feeling ashamed before his forefathers, lest it appear he still regarded both sisters as his wives - a biblically forbidden union. According to the mystical work, Zohar, when the Messiah appears, he will lead the dispersed Jews back to the Land of Israel, along the road which passes Rachel's grave. Early Jewish scholars noticed an apparent contradiction in the Bible with regards to the location of Rachel's grave. In Genesis, the Bible states that Rachel was buried "on the way to Ephrath, which is Bethlehem." Yet a reference to her tomb in Samuel states: "When you go from me today, you will find two men by Rachel's tomb, in the border of Benjamin, in Zelzah" (1 Sam 10:2). Rashi asks: "Now, isn't Rachel's tomb in the border of Judah, in Bethlehem?" He explains that the verse rather means: "Now they are by Rachel's tomb, and when you will meet them, you will find them in the border of Benjamin, in Zelzah." Similarly, Ramban assumes that the site shown today near Bethlehem reflects an authentic tradition. After he had arrived in Jerusalem and seen "with his own eyes" that Rachel's tomb was on the outskirts of Bethlehem, he retracted his original understanding of her tomb being located north of Jerusalem and concluded that the reference in Jeremiah (Jer 31:15) which seemed to place her burial place in Ramah, is to be understood allegorically. There remains however, a dispute as to whether her tomb near Bethlehem was in the tribal territory of Judah, or of her son Benjamin. A Jewish tradition teaches that Rachel weeps for her children and that when the Jews were taken into exile, she wept as they passed by her grave on the way to Babylonia. Jews have made pilgrimage to the tomb since ancient times. There is a tradition regarding the key that unlocked the door to the tomb. The key was about 15 centimetres (5.9 in) long and made of brass. The beadle kept it with him at all times, and it was not uncommon that someone would knock at his door in the middle of the night requesting it to ease the labor pains of an expectant mother. The key was placed under her pillow and almost immediately, the pains would subside and the delivery would take place peacefully. Till this day there is an ancient tradition regarding a segulah or charm which is the most famous women's ritual at the tomb. A red string is tied around the tomb seven times then worn as a charm for fertility. This use of the string is comparatively recent, though there is a report of its use to ward off diseases in the 1880s. The Torah Ark in Rachel's Tomb is covered with a curtain (Hebrew: parokhet) made from the wedding gown of Nava Applebaum, a young Israeli woman who was killed by a Palestinian terrorist in a suicide bombing at Café Hillel in Jerusalem in 2003, on the eve of her wedding. The tomb of Sir Moses Montefiore, adjacent to the Montefiore synagogue in Ramsgate, England, is a replica of Rachel's Tomb. In 1934, the Michigan Memorial Park planned to reproduce the tomb. When built, it was used to house the sound system and pipe organ used during funerals, but it has since been demolished. ^ a b Breger, Marshall J.; Reiter, Yitzhak; Hammer, Leonard (19 June 2013). Sacred Space in Israel and Palestine: Religion and Politics. Routledge. pp. 12–. ISBN 978-1-136-49034-7. On 11 September 2002, the Israeli security cabinet approved placing Rachel's Tomb on the Jerusalem side of the Security Wall, thus placing Rachel's Tomb within the “Jerusalem Security Envelope,” and de facto annexing it to Jerusalem. ^ a b "Jerusalem post". www.jpost.com. Retrieved 9 November 2010. ^ "Until 1996, nobody called Rachel's Tomb a mosque". The Jerusalem Post. 2010-08-11. Retrieved 2016-08-30. ^ a b c d Carbajosa, Ana (29 October 2010). "Holy site sparks row between Israel and UN". The Guardian. Retrieved 13 March 2012. ^ "Israel clashes with UNESCO in row over holy sites". Haaretz. Retrieved 13 March 2012. ^ Conder, C. R. (1877). "The Moslem Mukams". Quarterly Statement - Palestine Exploration Fund. 9 (3): 89–103. doi:10.1179/peq.1877.9.3.89. Alone and separated from the family sepulchre, the little "dome of Rachel " stands between Jerusalem and Bethlehem. The Kubbeh itself is modern, and has been repaired of late years. In 700 A.D. Arculphus saw only a pyramid, which was also visited by Benjamin of Tudela in1160 A.D., and perhaps by Sanuto in 1322 A.D. The site has been disputed on account of the expression (1 Sam. x. 2) " in the border of Benjamin," and there can be no doubt that the Kubbet Rahil never was on or very near this border. The Vulgate translation, however, seems perhaps to do away with this difficulty, and as Rachel’s tomb was only “a little way” from Ephrath, "which is Bethlehem" (Gen. xxxv. 16—19), and the tradition is of great antiquity, there is no very good reason for rejecting it. ^ Strickert 2007, p. 48. ^ Strickert 2007, p. 68ff. ^ a b c d e Cust, L. G. A. (1929). The Status Quo in the Holy Places. H.M.S.O. for the High Commissioner of the Government of Palestine. , page 47: "The Jews claim possession of the Tomb as they hold the keys and by virtue of the fact that the building which had fallen into complete decay was entirely rebuilt in 1845 by Sir M. Montefiore. It is also asserted that in 1615 Muhammad, Pasha of Jerusalem, rebuilt the Tomb on their behalf, and by firman granted them the exclusive use of it. The Moslems, on the other hand, claim the ownership of the building as being a place of prayer for Moslems of the neighbourhood, and an integral part of the Moslem cemetery within whose precincts it lies. They state that the Turkish Government recognised it as such, and sent an embroidered covering with Arabic inscriptions for the sarcophagus; again, that it is included among the Tombs of the Prophets for which identity signboards were provided by the Ministry of Waqfs in 1328. A.H. In consequence, objection is made to any repair of the building by the Jews, though free access is allowed to it at all times. From local evidence it appears that the keys were obtained by the Jews from the last Moslem guardian, by name Osman Ibrahim al Atayat, some 80 years ago. This would be at the time of the restoration by Sir Moses Montefiore. It is also stated that the antechamber was specially built, at the time of the restoration, as a place of prayer for the Moslems." ^ Hovannisian, Richard G. (2000). Georges, Sabagh (ed.). Religion and Culture in Medieval Islam. Cambridge University Press. p. 108. ISBN 978-0-521-62350-6. ^ a b c d e f Tom Selwyn. CONTESTED MEDITERRANEAN SPACES:The Case of Rachel's Tomb, Bethlehem, Palestine. Berghahn Books. pp. 276–278. ^ Whittingham, George Napier (1921). The Home of Fadeless Splendour: Or, Palestine of Today. Dutton. p. 314. "In 1841 Montefiore obtained for the Jews the key of the Tomb, and to conciliate Moslem susceptibility, added a square vestibule with a mihrab as a place of prayer for Moslems." ^ Michael Dumper, The Politics of Sacred Space: The Old City of Jerusalem in the Middle East Conflict, Lynne Rienner Publishers, 2002p.147. ^ Meron Benvenisti, Son of the Cypresses: Memories, Reflections, and Regrets from a Political Life,University of California Press, 2007 p.45. ^ Langton, Edward (2014-07-11). Good and Evil Spirits: A Study of the Jewish and Christian Doctrine, Its Origin and Development. Wipf and Stock Publishers. ISBN 9781625649911. In ancient Israel a sacred tree was a necessary adjunct of an altar. Another adjunct was a pillar (mazzebah). In several instances a grave is said to be marked by the setting up of such a pillar. Thus concerning the burial of Rachel it is said, "And Jacob set up a pillar upon her grave: the same is the Pillar of Rachel's grave unto this day" (Gen. xxxv. 20; cf. 1 Sam. x. 2) There appears to be no reason for doubt that in all these cases the graves were places of worship, which at a later date were adapted to the worship of Yahweh. ^ "TOMBS - JewishEncyclopedia.com". www.jewishencyclopedia.com. Retrieved 2016-08-30. Desecration of a tomb was regarded as a grievous sin, and in ancient times the sanctity of the grave was evidenced by the fact that it was chosen as a place of worship, thus explaining the circumstance that a sacred stone ("maẓẓebah") was set on Rachel's grave, and that sacred trees or stones always stood near the tombs of the righteous. ^ Susan Starr Sered, Rachel's tomb: Societal liminality and the revitalization of a shrine, Religion, January 1989, Vol.19(1):27–40, doi:10.1016/0048-721X(89)90075-4, page 30, "Although the references in Jeremiah and in Genesis 35:22 perhaps hint at the existence of an early cult of some sort at her Tomb, the first concrete evidence of pilgrimage to Rachel's Tomb appears in reports of Christian pilgrims from the first centuries of the Christian Era and Jewish pilgrims from approximately the 10th century. However, in almost all of the pilgrims' records the references to Rachel'sTomb are incidental - it is one more shrine on the road from Bethlehem to Jerusalem. Rachel's Tomb continued to appear as a minor shrine in the itineraries of Jewish and Christian pilgrims through the early 20th century." ^ a b Martin Gilbert (3 September 1985). Jerusalem: rebirth of a city. Viking. p. 25. ISBN 978-0-670-80789-5. Retrieved 8 February 2011. Rachel’s tomb has been a place of Jewish pilgrimage even before the Roman destruction of Jerusalem. ^ Wendy Pullan,Bible and Gun: Militarism in Jerusalem's Holy Places, 2013, page 16: "In legal terms its location is heavily contested; it was to have been returned to Palestine under the Oslo agreements but in 1995, under pressure from settlers and religious groups, Israel decided to retain it. Since then this important Jewish holy place has been made into a high-profile national religious shrine, referred to by its devotees as either the second or third holiest place in Judaism. The uncertainty about its status stems from different competing interest groups, but the ranking also indicates a recently revived and politically motivated place in the Jewish pantheon. The site’s religious status and political value have resulted in extraordinary defensive measures being adopted. Today, the Tomb is completely enveloped by the concrete separation barrier making it available to Israeli Jews and tourists coming from Jerusalem in approved vehicles, but inaccessible to Palestinians. It has become a military zone, literally an urban fortress." ^ Strickert 2007, p. 134-137. ^ "Wall annexes Rachel's Tomb, imprisons Palestinian families - Haaretz - Israel News". Haaretz.com. 2019-02-21. Retrieved 2019-02-25. ^ Westra, Laura (14 February 2011). Globalization, Violence and World Governance. BRILL. pp. 147–. ISBN 978-90-04-20133-0. ^ "UN cultural heritage body condemns Israeli handling of Jerusalem holy sites - Israel News". Haaretz.com. Retrieved 2019-02-25. ^ Times of Israel, 22 October 2015: "Israeli soldiers on Thursday placed a concrete barrier near a Jewish holy site in the West Bank, ahead of a religious pilgrimage there this weekend." and Times of Israel, August 2016: "In October, the IDF installed a series of concrete barriers around the tomb, effectively separating it from the rest of Bethlehem." ^ Strickert 2007, pp. 57, 64. ^ Strickert 2007, p. 20: "In the Septuagint translation, Bethlehem is also given but the order of the verses is changed because of geographical difficulties." ^ Zecharia Kallai, 'Rachel's Tomb: A Historiographical Review,' in Vielseitigkeit des Altes Testaments, Peter Lang, Frankfurt 1999 pp.215-223. ^ Strickert 2007, p. 61-2: "one must conclude that Rachel's tomb was located near Ramah... During the time of the monarchy, from the anointing of Saul to the beginning of exile (1040-596 B.C.E. ), Rachel's tomb was understood to be located in the north near Ramah." ^ Jules Francis Gomes,The Sanctuary of Bethel and the Configuration of Israelite Identity, p.135:'Rachel's tomb was originally on the border between Benjamin and Joseph. It was later located in Bethlehem as in the gloss on Gen.35:19. ^ ramah means 'a height'. Most scholars take it to refer to a place-name. Martien Halvorson-Taylor, Enduring Exile: The Metaphorization of Exile in the Hebrew Bible, BRILL 2010 p.75, n.62, thinks the evidence for this is weak, but argues the later witness of Genesis for Bethlehem as Rachel's burial site 'an even more dubious witness to its location'. ^ David Toshio Tsumura,The First Book of Samuel, Wm. B. Eerdmans Publishing, 2007 p.284. ^ Strickert 2007, p. 69. ^ a b Schwarz, Joseph. Descriptive Geography and Brief Historical Sketch of Palestine, 1850. "It was always believed that this stood over the grave of the beloved wife of Jacob. But about twenty-five years ago, when the structure needed some repairs, they were compelled to dig down at the foot of this monument; and it was then found that it was not erected over the cavity in which the grave of Rachel actually is; but at a little distance from the monument there was discovered an uncommonly deep cavern, the opening and direction of which was not precisely under the superstructure in question." ^ Sharon 1999, p. 177. ^ a b Sharon 1999, p. [https://books.google.com/books?id=EPFDU8POrXIC&pg=PA177 177. ^ a b Edward Robinson, Eli Smith. Biblical researches in Palestine and the adjacent regions: a journal of travels in the years 1838 & 1852, Volume 1, J. Murray, 1856. p. 218. ^ le Strange 1890, p. 299. ^ Jewish Studies Quarterly: JSQ. Mohr (Paul Siebeck). 1994. p. 107. Benjamin of Tudela ( 1170 C.E.) was the first Jewish pilgrim to describe his visit to Rachel's Tomb. ^ Ruth Lamdan (2000). A separate people: Jewish women in Palestine, Syria, and Egypt in the sixteenth century. Brill. p. 84. ISBN 978-90-04-11747-1. Retrieved 12 October 2010. ^ "Further on, near to Bethlehem, I saw the sepulchre of Rachel, the wife of the Patriarch Jacob, who died in childbirth. It is beautiful and much honoured by the Moors". Retrieved 11 December 2013. ^ Kousis, Maria; Selwyn, Tom; Clark, David (30 June 2011). Contested Mediterranean Spaces: Ethnographic Essays in Honour of Charles Tilly. Berghahn Books. pp. 279–. ISBN 978-0-85745-133-0. ^ Strickert 2007, p. 111. ^ a b Abigail Green (7 May 2012). Moses Montefiore. Harvard University Press. p. 67. ISBN 978-0-674-28314-5. On the second day of their visit, Amzalak took Montefiore on a tour of communal institutions and Jewish holy places. Judith, meanwhile, set out on a day trip to Bethlehem, stopping at the Tomb of Rachel, which she visited in the company of a group of Jewish women. This desolate, solitary, crumbling ruin, its dome half open to the elements, was a holy site for all Jews. For an infertile woman like Judith it may have had special significance. The Old Testament contains many tales of barren women who were finally able to conceive through divine intervention. The matriarch Rachel was one of them. Indeed, Rachel had been so distressed by her inability to bear children that she went to her husband Jacob and complained, "Give me a child! And if there will be no child, I shall die!" Consequently, the Tomb of Rachel has become a favorite site of religious pilgrimage for infertile Jewish women. It seems strange to associate such a practice with a well-educated Englishwoman like Judith. Yet she must have been more aware of these superstitions than her published diaries indicate, because Judith was the owner of a fertility amulet-written for her by two Sephardi rabbis, whose family were the hereditary guardians of Rachel’s Tomb. ^ Strickert 2007, pp. 112-113. ^ George Frederick Owen (1 July 1977). The Holy Land. Kansas City: Beacon Hill Press. p.��159. ISBN 978-0-8341-0489-1. Retrieved 2 January 2012. In 1841, Sir M. Montefiore purchased the grounds and monument for the Jewish community, added an adjoining prayer vestibule, and reconditioned the entire structure with its white dome and quiet reception or prayer room. ^ Ridley Haim Herschell (1844). A visit to my father-land: being notes of a journey to Syria and Palestine in 1843. Unwin. p. 191. Retrieved 3 January 2012. ^ Whittingham, George Napier. The home of fadeless splendour: or, Palestine of today, Dutton, 1921. pg. 314. "In 1841 Montefiore obtained for the Jews the key of the Tomb, and to conciliate Moslem susceptibility, added a square vestibule with a mihrab as a place of prayer for Moslems." ^ Edward Everett; James Russell Lowell; Henry Cabot Lodge (1862). The North American review. O. Everett. p. 336. Retrieved 15 November 2010. The annual expenses of the Sepharedim…are reckoned to be…5,000 [piasters] for the liberty of visiting Rachel's tomb near Bethlehem [paid as a "backshish" to the Turks for the privilege]. ^ Jerusalem in the 19th Century: The Old City, Yehoshua Ben-Arieh, Yad Yitzhak Ben Zvi & St. Martin's Press, 1984, pp.286-287. ^ Nathaniel Deutsch (6 October 2003). The maiden of Ludmir: a Jewish holy woman and her world. University of California Press. p. 201. ISBN 978-0-520-23191-7. Retrieved 10 November 2010. ^ Paulist Fathers (1868). Catholic world. Paulist Fathers. p. 464. Retrieved 9 November 2010. ^ Mekhon Shekhṭer le-limude ha-Yahadut; International Research Institute on Jewish Women (1998). Nashim: a journal of Jewish women's studies & gender issues. Schechter Institute of Jewish Studies. p. 12. Retrieved 30 January 2011. ^ a b Arnold Blumberg (August 1998). The history of Israel. Greenwood Press. p. 17. ISBN 978-0-313-30224-4. Retrieved 13 January 2011. ^ Max Bodenheimer (1963). Prelude to Israel: the memoirs of M. I. Bodenheimer. T. Yoseloff. p. 327. Retrieved 5 January 2012. The grave of Rachel left me with nothing but sorrowful recollection. It is regrettable that the Jews so neglect their holy places, while in the vicinity of monasteries and of Christian and Moslem places of pilgrimage one finds well-kept gardens. Why does Rachel's tomb lie bare, somber and neglected in a stony desert? As there can be no lack of money about, it can be assumed that the Jews, during the long exile of the Ghetto, lost all sense of beauty and of the significance of impressive monuments and the possibility of surrounding them with gardens. ^ Susan Sered, "A Tale of Three Rachels: The Natural Herstory of a Cultural Symbol," in Nashim: a journal of Jewish women's studies & gender issues, Issues 1-2, Schechter Institute of Jewish Studies, 1998. "In the 1940s, by contrast, Rachel's Tomb became explicitly identified with the return to Zion, Jewish statehood and Allied victory." ^ Margalit Shilo (2005). Princess or prisoner? : Jewish women in Jerusalem, 1840-1914. UPNE. p. 32. ISBN 978-1-58465-484-1. Retrieved 14 January 2011. ^ Jill Dubisch, Michael Winkelman, Pilgrimage and Healing, University of Arizona Press, 2005 p.75. ^ "Bethlehem University Research Project Explores Importance of Rachel's Tomb." Bethlehem University. 4 May 2009. 25 March 2012. ^ a b Nahum Barnea, 'The battle for Jerusalem,' Ynet, 10 November 2014. ^ Strickert 2007, p. 135: "Months later in early 1996, things began to change at rachel’s tomb. My daily taxi rides were diverted through bethlehem side streets while con- struction workers began to change the face of this ancient monument. that historic route taken by several-millennia-worth of travelers was changed per- manently four years later so that traffic no longer passes in front of rachel’s tomb. the renovations took eighteen months and cost well over two million dollars. Part of the reason for the project was to facilitate larger numbers of pilgrims; the prayer area multiplied five-fold. But most of the changes were in the name of security. Thirteen-foot-high security walls now block the view of the well-recognized white dome from all directions but above." Capital braces for violence, Jerusalem Post, (March 21, 1997). Israelis, Arabs clash in protest near Rachel's tomb, The Deseret News, (May 30, 1997). Palestinians stone soldiers by Rachel's Tomb, Jerusalem Post, (August 24, 1997). More West Bank Tension As Envoy Meets Arafat, New York Times, (September 13, 1998). ^ "Maan News Agency". Maannews.com. Retrieved 2019-02-25. ^ Journal of Ethnology and Folkloristics 11 (1): 83–110 DOI: 10.1515/jef-2017-0006: "The Arab Educational Institute (AEI), which is a member of the international peace movement Pax Christi, opened the Sumud Story House in 2009. The Sumud Story House is a building located in the Rachel's Tomb Area where Palestinian women from Bethlehem and the neighbouring towns gather weekly to narrate their experiences living in a walled city. These stories have been written and printed on panels posted on the Wall in the Rachel's Tomb Area constituting the Wall Museum." ^ "The "Wall Museum" – Palestinian Stories on the Wall in Bethlehem Rania Murra, Toine Van Teeffelen Jerusalem Quarterly 55 (2013), pp. 93–96: "Once the area around Rachel's Tomb, a pilgrimage place for Muslims, Christians and Jews, was one of the liveliest in Bethlehem. The Hebron Road connected Jerusalem with Bethlehem: its northern section was the busiest street in town. It was the gateway from Jerusalem into Bethlehem. After entering Bethlehem along the main road, visitors either chose the direction to Hebron or the road to the Church of the Nativity. Times have changed. During the 1990s Rachel's Tomb became an Israeli military stronghold with the Jerusalem-Bethlehem checkpoint close by. As such it was a focus of Palestinian protests, especially during the second intifada after September 2000. In 2004-05 Israel built walls near the Tomb and a surrounding enclave, both of which it had already annexed to Jerusalem. The Tomb thus became forbidden territory to inhabitants of Bethlehem. In the course of time no less than sixty-four shops, garages, and workshops along the Hebron Road closed their doors. This was not just because of the fighting, shooting and shelling going on during the second intifada, but also because the area became desolate as a result of the Wall. Parents warned their children not to visit the area with its imposing 8-9 meter high concrete Wall – almost twice as high as the Berlin Wall."" (PDF). palestine-studies.org. ^ "US slams Israel over designating heritage sites". Associated Press. 2010-02-24. ^ a b "UN: Israel 'heritage sites' are on Palestinian land". Haaetz. 2010-02-22. ^ "Rattling The Cage: UNESCO is right, Israel is wrong". Jerusalem Post. Retrieved 16 March 2012. ^ "UNESCO Erases Israeli Protests from Rachel's Tomb Protocol". Israelnationalnews.com. Retrieved 11 December 2013. ^ Jewish Calendar, Passing of Rachel, Chabad.org. ^ "Rachel's Tomb - - Israel". Chabad.org. Retrieved 11 December 2013. ^ Bryna Jocheved Levy (April 2008). Waiting for Rain: Reflections at the Turning of the Year. Jewish Publication Society. p. 59. ISBN 978-0-8276-0841-2. Retrieved 10 November 2010. ^ Baḥya ben Asher ben Ḥlava; Eliyahu Munk (1998). Midrash Rabbeinu Bachya, Torah Commentary: Toldot-Vayeshi (pages 385-738). Sole North American distributor, Lampda Publishers. p. 690. Retrieved 14 November 2010. ^ a b Ramban. Genesis, Volume 2. Mesorah Publications Ltd, 2005. pp. 545-47. ^ Strickert 2007, p. 32. ^ Ramban. Genesis, Volume 2. Mesorah Publications Ltd, 2005. p. 247. ^ a b Susan Sered, "Rachel's Tomb and the Milk Grotto of the Virgin Mary: Two Women's Shrines in Bethlehem", Journal of Feminist Studies in Religion, vol 2, 1986, pp. 7–22. ^ Susan Sered, "Rachel's Tomb: The Development of a Cult", Jewish Studies Quarterly, vol 2, 1995, pp. 103���148. ^ Hershenzon, Gail D. (2007). Michigan Memorial Park. Arcadia Publishing. pp. 40–42. ISBN 9780738551593. ^ Dale Baranowski. "Capsule History". Rachelstomb.org. Retrieved 2019-02-25. ^ Jaskow, Rahel (2008-09-19). "The approach to Rachel's Tomb | Approaching Rachel's Tomb. I…". Flickr. Retrieved 2019-02-25. Chateaubriand, F.-R. (1812). Travels in Greece, Palestine, Egypt, and Barbary, during the years 1806 and 1807. 1. London: for Henry Colburn. Conder, C.R. ; Kitchener, H. H. (1883). The Survey of Western Palestine: Memoirs of the Topography, Orography, Hydrography, and Archaeology. 3. London: Committee of the Palestine Exploration Fund. ed-Dyn, Moudjir (1876). Sauvaire (ed.). Histoire de Jérusalem et d'Hébron depuis Abraham jusqu'à la fin du XVe siècle de J.-C. : fragments de la Chronique de Moudjir-ed-dyn. Pringle, Denys (1998). The Churches of the Crusader Kingdom of Jerusalem: L-Z (exluding Tyre). II. Cambridge University Press. ISBN 0 521 39037 0.